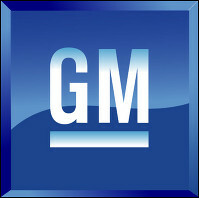 When you want professional, quality collision repair for your General Motors vehicle…. Autosquare Collision Center has been certified by Assured Performance Collision Care, a non-profit customer advocacy organization. This certification confirms we are exceeding the manufacturer’s requirements for tools, equipment, training and facilities. In turn, this ensures we provide a proper repair according to manufacturer specifications essential to guaranteeing the vehicle fit, finish, durability, safety, and value. 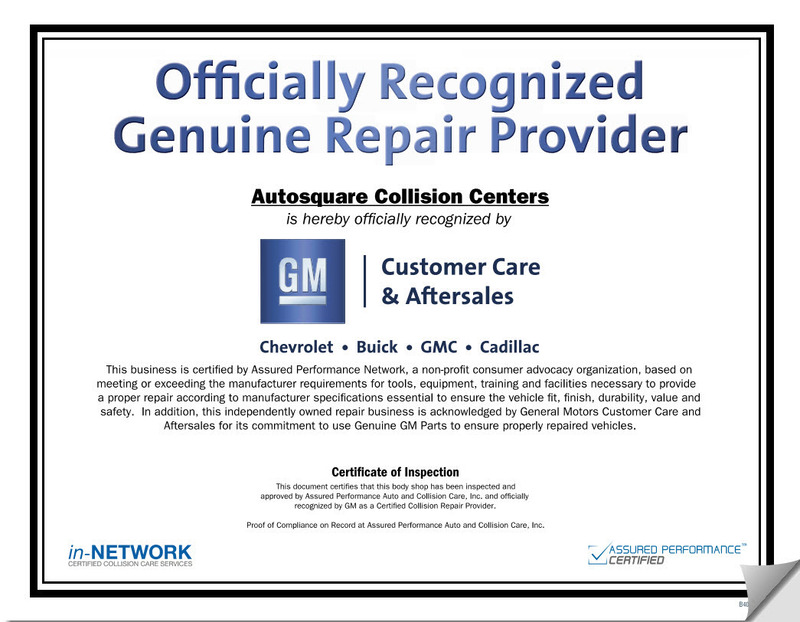 In addition, Autosquare collision Center is acknowledged by General Motors Customer Care and Aftersales for its commitment to use Genuine GM Parts and to ensure properly repaired vehicles. Make an Appointment online with one of our certified Claims Managers.